One of the best PC to console ports ever, with the strategy great working impressively well on the Switch and opening up the series to a whole new audience. Civilization VI is a great adaptation of the strategy classic for Nintendo Switch. Controls need some learning, but the game is deep and fun (and we love local multiplayer). An excellent conversion for one of the best Civs to date. Great interface, good performances. Too bad for the battery drain, but with two full hours playtime of it's very reasonable and acceptable, considering the quality of the port. In general, the port of the best PC game of 2016 turned out to be good, but technically weak compared to the original version. However, the gameplay is not simplified, and this is very important. Civilization VI is an ideal strategy game for playing on the go, wherever you are. We hope that developers will release a patch with visual upgrade and multiplayer mode. If you think Civilization peaked at IV, the sixth entry won't change your mind, but we envy anyone who's never played the series – Civilization VI on Switch is a brilliant introduction. Civilization VI on Switch is my favourite way to play. The Switch edition of Civilization VI brings the full (base) Civ experience to a handheld. For this alone it's an essential purchase for strategy players, but the interface and presentation make this one of the best games on the console on its own merits. 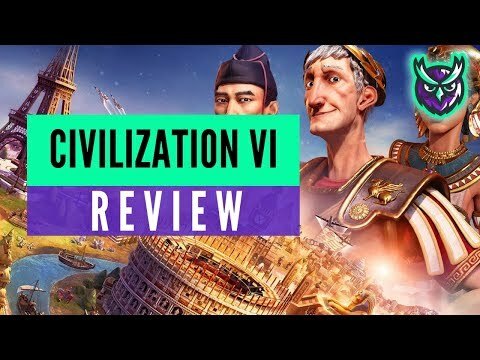 With the exception of the missing online play, Civ VI is - for better or worse - a faithful and complete port of the PC experience. It's disappointing to be stuck primarily playing with AI but there's a lot to love about Civ VI's single player experience, and playing on Switch turns out to be a solid way to experience the rise and fall of entire civilizations. I already know that this will be my most-played game on the Switch over the longer term. Once you start playing Civilization, it has the most incredible ability to make you lose all sense of time, and desire to play anything else.